I may have had a major case of timorous writers block, but I certainly did not get bottled up on the crafting front. Hats, neckwarmers, a scarf – even a New Year’s trip to Toronto – they all kept me busy. There are a couple of other items in the works but this will do for now. Once you get past the clumsiness of the 4 stitch cast on, the pattern really flies off your needles. Instead of braiding the ties, I went with I-cord and mini poms to finish. There’s a matching striped garter stitch scarf in progress. Why “Leftovers”? 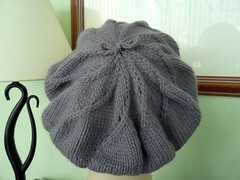 Because this hat was created from the yarn that remained after I knit the November baby jumper and socks. 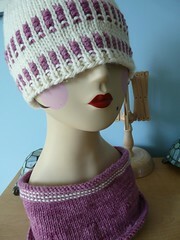 This hat is paired with the Dolores Park Cowl by Parikha Mehta in the same colors. 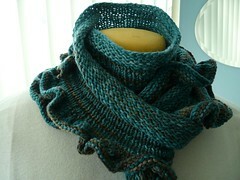 Scarf is crocheted in Blue Sky Alpaca’s yummy cotton in the Poppy color. Admittedly, I simplified the pattern a bit by repeating rows 2-3 instead of proceeding to row 4. Get the pattern. You’ll see. I made a few small modifications to this well-written pattern. Since I used a slightly heavier weight yarn and size 9 (5.5mm) needle, I cast on 72 instead of 84 stitches. I also did 7 increase rows instead of 8 and grafted the remaining 12 stitches at the top. I opted against the large bow in the pattern in favor of a small crochet chain twist bow. I also used purple ribbon to decorate the garter stitch brim. My friend Lisa Mendez gave this beautiful fade-dye turquoise to grey yarn. I’ve been waiting for the right project for at least 2 years when along came Ruffles. Although you’ll be working 3600 stitches by the time you finish, you’ll be so pleased with the result, you won’t care. Mostly. Speaking of Laura Chau, I actually met her during the Boxing Day sale at Toronto’s Lettuce Knit. Only problem is that I didn’t realize the person ringing up my two skeins of Fleece Artist was, in actuality Ms. Chau. I even had her call a taxi for us. It was not until we drove off that my friend bellamoden told me what was what. Hmm. Thank Jeebus for second thoughts. Pathetic fangirl decided it was best to leave well enough alone. 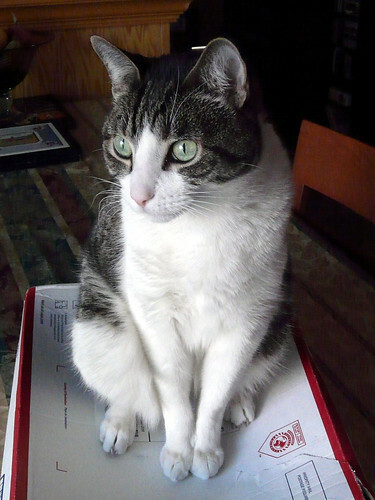 Now, for this feline interlude. 24 comments to Blogging? No. Busy? Yes! Our courteous underpinning body of hilarious practised pharmacists will staff you buy Viagra now, consulting on different healthiness questions. We are to death that our company Procure Cialis Knock off Apothecary is solitary of the outwit in the Internet, commonly, generic Viagra now specializing on online drugstore Cialis. Lovely projects. Projects made of leftovers are the best. Lovely bunch of FO’s! The Just Enough Ruffles scarf colors are especially nice; isn’t it great to find just the right project for a yarn you’ve been holding onto? The Anne pattern was revised last month and now has a step-by-step chart – if you didn’t get the notification and download link for the update, please let me know (if you purchased through Ravelry, I believe you can go back to your library and re-download to get the updated version). LOVE, LOVE, LOVE your projects! and i also hope this means that you are back in fine knitting form. Your projects are gorgeous – I particularly like the Leftover Hat! And that is an equally gorgeous shot of Rocky! Rocky’s a hoot!!! Holy cow, I’m in love with both your Thorpe and your Just Enough Ruffles scarf. I know exactly what you mean about all those darn stitches at the end, though. The trip to Toronto sounds fun! I need to make it up there sometime. yowza……over the top amazing knitting GOODNESS going on there!!!!!!!! LOVE LOVE LOVE. and especially LOVE the just enough ruffles! My goodness, you have been busy! 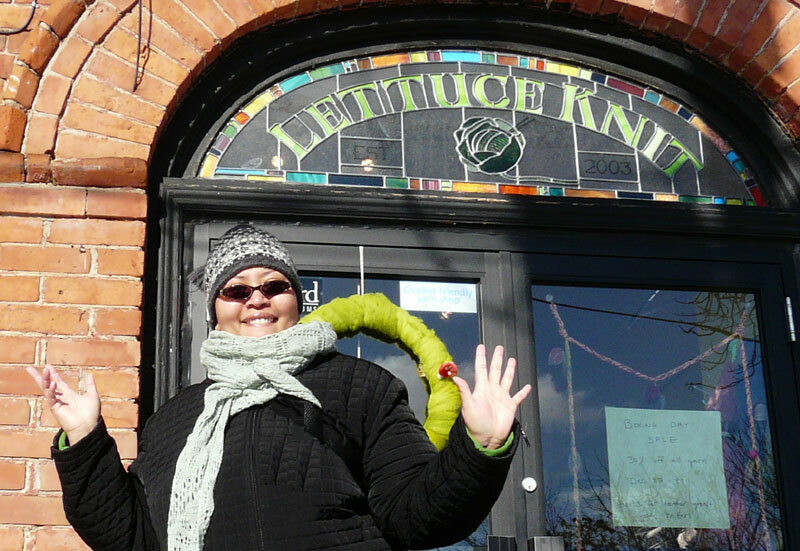 How cool that you got to go to Lettuce Knit. I love that Laura Chau ruffled scarf – perfect color for it. I’m also feeling a lot of love for the pretty crochet scarf. And the hats, and…well, everything! 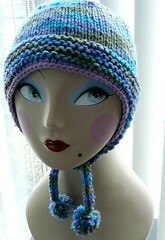 Love it all, what a gorgeous bit of knitting (and you know I love your mannequin! She’s so cute, especially in the first hat! Hey, good to see you. I’d just been wondering how you were. Glad to see you’re still managing some lovely needlework. I assume then that everything’s functioning properly and painlessly. You definitely have been busy with the FOs. 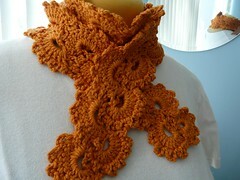 Everything looks great and the Just Enough Ruffles scarf is beautiful. Glad to hear that all is well. Hey, cool! You made it to my hometown!!! Love the FOs…the hat is fantastic and is inspiring some copycat action over here. Wow, you sure have been busy. Each one is a beautiful as the next. glad to see you posting. Rocky sure knows how be to celebrate Boxing Day! Gorgeous. I hope the Fo’s mean you are feeling better. That ruffles scarf is on my to do list. Take care my friend. Gorgeous knits left and right! Way to go! One FO is lovelier than the next one. Wow! You have been busy, cranking out the lovely FOs.